Happy Cyber Monday! 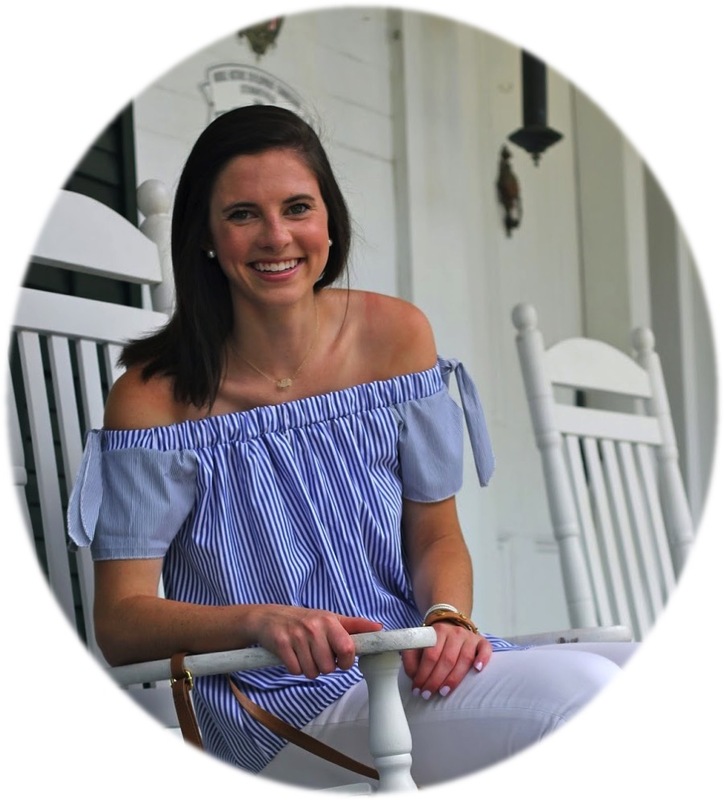 If you haven't already, be sure to check out my post with a round up of all the sales going on today. Also, I hope y'all are super excited about seeing two posts a day from me (time permitting). I have loads of fun things to share and there just aren't enough days for me to share them. I absolutely adore Christmas and everything that it encompasses. I was born the day after Christmas when my due date wasn't until mid-January and my parents joke that it is because I had heard so much about Christmas and wanted to see what all the fuss was about. Sadly, I showed up a day late to that party. Regardless, Christmas is a time of family, friends, food, tradition, and so much more. I feel like Kevin McCalister saying this but at Christmas time there is nothing better than sitting by a decorated Christmas tree with your family enjoying its beauty. I mean decorating it is a lot of work, right mom? This love started young with my brother and I playing "Eye Spy On The Christmas Tree" before school each morning in December when we were younger. I hate that while I am at school preparing for exams I can't be cozied up by my tree at home so this year to allow me some extra enjoyment our tree went up before Thanksgiving. I helped my mom decorate (although there is still a lot to be done) while we listened to Christmas music. I love hearing her sentimental connection to many of the ornaments and seeing her face light up when she finds one that she has forgotten about. A tradition that my mom and her best friend from high school have (that I am dying to adopt) is giving each other a new ornament each year. My mom made an excellent point that once you get older and have a tree of your own you quickly realize how few ornaments you have and that she and her friend started this so they would have ornaments with a meaning amongst all of the chain store ornaments that have to be purchased to fill the tree. Is that not the cutest? Well, that is why I wanted to be sure to include an entire ornament post as a Holiday Gift Guide. Christmas ornaments are available in so many different colors, shapes, sizes, and themes making the gift even more personal. Every year as you hang the ornament you will remember who gave it to you and their reasoning behind it. Year after year that memory will be refreshed and will surely cause a twinkle in the recipients eye when spotting it on the tree. I definitely want to start a tradition like this with my friends and thought some of y'all may as well. 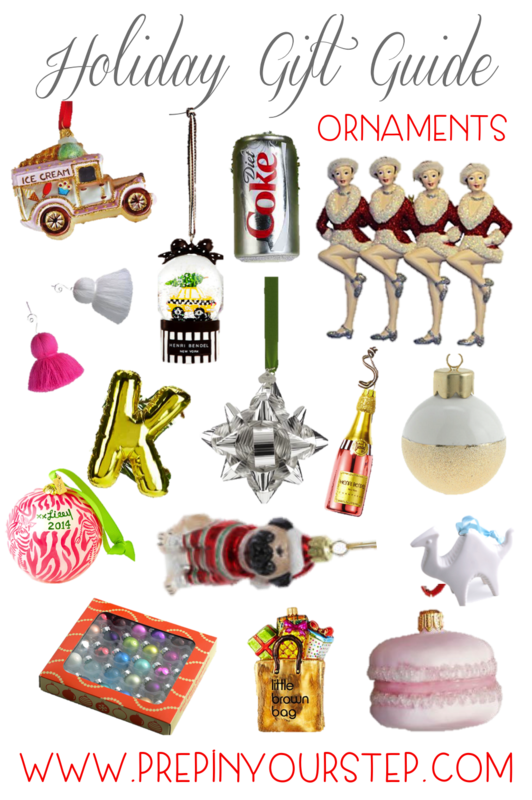 Below is a compilation of ornaments that I thought would be so fun to give for the holidays. Do you have any traditions like this or are you going to start your own? PS… a lot of the ornaments below are included in cyber monday sales, I won't tell anyone you got their gift on sale, after all it's the thought that counts! Unwrapping all the ornaments has to be one of my favorite things to get me in the Christmas mood! My mom always picks up an ornament whenever we go on a vacation, it is one of the best souvenirs to remember the trip!